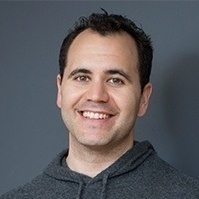 Chad Rubin is the “eCommerce Renegade,” having built a $20 million online business in just seven years, and ranking as a top-250 Amazon seller. Chad is also the co-founder and CEO of Skubana, a multi-channel software relied on by many top sellers. He also serves on the board of Prosper, considered the preeminent conference for Amazon sellers. Find the right thing to build. Build it quickly. And get the right people to do it. Sell in all the right places. Create a system that kills the flack. I take my coffee very seriously. So when I got a chance to speak to the private label guru who very likely created my beloved Aeropress’ reusable filter, I was pumped. And when it turned into a 30-minute blitz boot camp on the transition from Wall Street investment banker to a private labeler who sells over 2,000 items, it just blew my brain out. Chad Rubin, the CEO of Crucial Vacuum, loves coffee, gives virtual assistants to employees as a perk, believes that Chinese whiskey is the equivalent of relationship WD40…and loves automation so much he started Skubana, a multi-channel inventory fulfillment platform. 1. Find the right thing to build. According to Chad, Amazon is a madhouse with 100,000 different toilet paper holders. The result is a fickle revenue stream, with business at the mercy of a mercurial buy box and over five million sellers vying for that same Amazon customer. All which makes standing out really, really hard. So most sellers bridge this by tapping into the same research sources as one another, triggering a mad dash for the exact same product categories and identical products, all sourced from the same suppliers through Alibaba. Nothing but dismal mediocrity lies down that path. Every single one of Chad’s products are built to scratch an itch; he finds the problem that customers are experiencing and creates bespoke solutions for them. And he does it in areas that he actually cares about, like vacuum products (his parents’ business) or coffee (this passion, I get). Data research is also huge. Chad is bullish on using both Amazon data (product search data straight from the source), Google search data (to highlight actual problems), and any other data source that sheds light on buying behavior, like Panjiva’s Bill of Lading database, all combined with some solid data enrichment. And, for specific product research, he thinks negative reviews on Amazon are also a treasure trove. Creating problems that solve real problems instead of jumping on the same bandwagon as the other 5 million Amazon sellers also translates into Chad’s new iron rule of avoiding “me-too” products at all cost. If there’s a product that already does what Chad wants, just as well and without something missing, it’s not his cup of coffee. 2. Build it quickly. And get the right people to do it. When Chad got into the direct-sales business for vacuum parts, he realized that he was sharing his sales profit with too many middlemen. So he jumped on a plane and hopped off to China, long before it was in vogue. Finding the right factory meant creating a relationship with someone (or, more specifically, getting drunk with the factory manager) and taught him the importance of finding the right company to work with, making sure both sides know exactly what the other wants. Working directly with a factory, rather than domestic or international trading companies, has another advantage. As any private labeler knows, it costs serious money to develop…and it costs money for tooling. But if you’re really confident in your product, that tooling becomes your business’ moat. For example, by dropping $80,000 on vacuum hose tooling, Chad immediately disqualified 80% of his competition which doesn’t have the confidence or capital to keep up. Creating those moats of tooling, or other innovation (like washable and reusable vacuum filters), are more important than ever to fight what Chad likes to call the “Amazon product death cycle”. Like only a vacuum buff can, Chad wistfully recalls the good old days when the perfect replacement part could have a 2.5-year run before getting swarmed by competition. Today, that window is down to three or six months until someone copies your product. Creating a unique product is a great way to (slightly) expand that window but regardless, there’s no time for a good seller to rest on their laurels. Which brings us to selling. 3. Sell in all the right places. Which channels are right for sales? Chad’s personal favorites are Amazon, his own website and Walmart, which recently edged out eBay from the top three. But companies should also assess their respective category play as well, like Houzz for selling furniture. By the way, the strategy of diversifying off of Amazon is one that many are advocating. When I spoke to Tomer Tagrin, the CEO of Yotpo, a couple of days ago, he said that Amazon is moving in the same direction of Facebook, which recently started to reduce publishers’ exposure on Facebook. The more you own your brand, like Anker did with differentiated headphones and mobile accessories, the more Amazon-proof you are. 4. Create a system that kills the flack. Chad’s system, which helped him build both Skubana and the Crucial label, is all about guarding time – both his and his employees’ – to make everything hum. He spent two weeks tracking every single thing he did in Google Calendar, figuring out what he loved, hated, what was critical, and what was just noise. Then he started to automate everything that could be automated. But not everything can be automated, which is why he employs an army of virtual assistants to get his back, doing everything from scheduling to replying to emails. It’s become to helpful to him, he actually provides all his employees with VAs. If he has one rule, it’s track what you spend time on and outsource your weaknesses, which taught him to ditch a 3,000 square foot warehouse in favor of outsourcing. 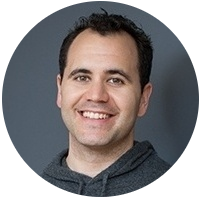 Chad Rubin (E-commerce Renegade) builds e-commerce businesses. Fresh out of college and Wall Street, he took his family vacuum business online and built his own direct to consumer e-commerce business called Crucial Vacuum. He grew it from 0 a $20 million dollar valuation in just 7 years. He happens to be a top 250 Amazon seller. He co-founded Skubana with DJ Kunovac and built one of e-commerce’s hottest operational softwares. Skubana acts as the central nervous system of your operations. It unifies all the tools you need to run your business, automates all the repetitive tasks, and even thinks for you about profitability, forecasting, and demand planning. On top of it all, it allows for an unlimited extension of possibilities through an App store ecosystem.